“Thank God for the light!” That was the main sentiment echoed by many of the San Mateo residents in San Pedro Town, as they will now benefit from the expansion of electricity into their community. 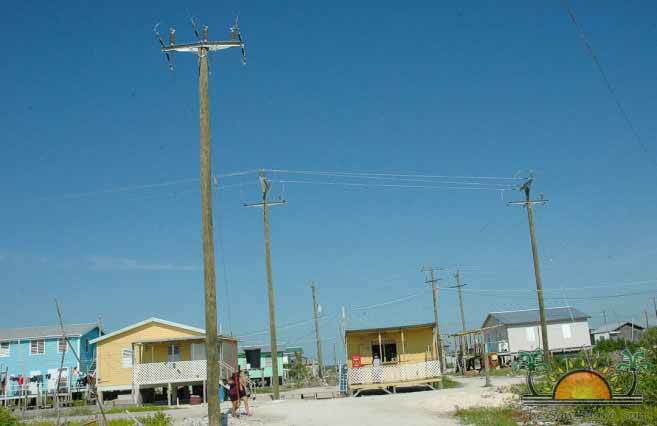 The San Mateo Electrification project, executed by Belize Electricity Limited (BEL), is estimated to cost $383,000. It is a partial – but monumental – relief for the over 575 residents who have been without proper electricity for over 16 years. Power was interrupted by BEL on sections of Ambergris Caye on Tuesday morning December 16th to finally connect the San Mateo community to the national grid. A total of 120 households will be able to benefit from the expansion of electricity. “The Public Utilities Commission (PUC) granted approval to BEL as part of the 2014 Annual Review Proceeding (ARP), for the Company to invest up to $5 million in rural electrification. San Mateo is one of the benefitting communities,” said Vonetta Burrell, Senior Communications Officer at BEL. In order for residents to be connected, they will be required to have their houses wired by a licensed electrician and each household must install a service entrance which includes meter and switch box, said Burrell as is required by the Public Utilities Commission (PUC). “Residents who have already installed a service entrance, which is necessary for safe and proper connection to power supply from BEL, now need to acquire a PUC Electrical Installation Form, signed by a certified electrician. The service entrance must be ready for inspection by BEL. In addition, residents will now have to apply, as normal, to get connected at the standard connection rate of approximately $200,” explained Burrell. Such connection is estimated to cost between $1,200 and $1,500 and is the responsibility of each customer.